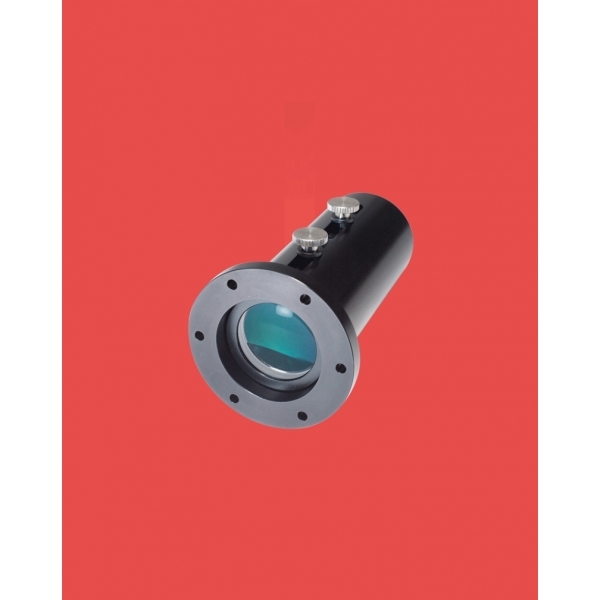 The multichannel LED light source or multi-channel LED light engine BBO-Niji, manufactured by BlueBox Optics, delivers a 7+1 light channels controllable individually and optionally filtered for obtaining the excitation wavelength desirable. 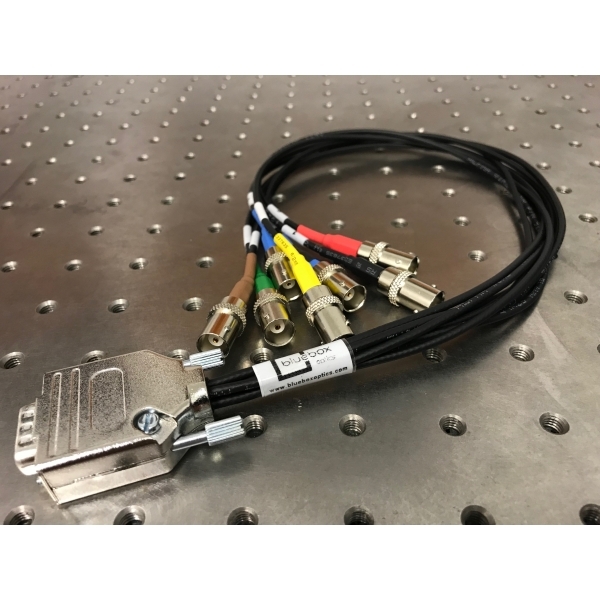 Take advantage of its modular and flexible design and replace your classic gas lamp by easily coupling the Niji LED light source to your Olympus, Nikon, Zeiss, or Leica microscope and you will have a powerful fluorescence microscopy system. LOVE ITS MODULAR DESIGN, PRICE, FLEXIBILITY AND SOFTWARE INTEGRATION! Note: Optical output powers are given for a ø3 mm liquid light guide, use of a ø5 mm light guide will provide approximately 50% more power. Wavelengths and powers are approximate and may vary on LED batch. Each niji will be supplied with full optical power and wavelength test data. *Typ. 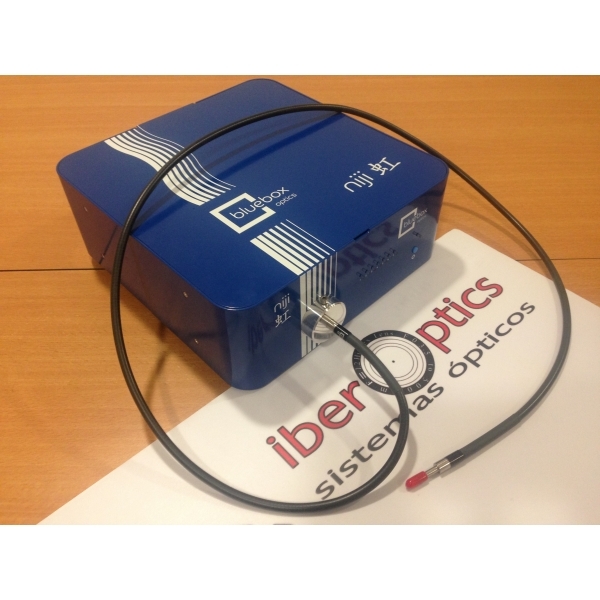 Optical Power is specified for the complete system. By removing the channels you do not need, you will reach higher output channels in the wavelengths of interest. Please, tell us your power requirements. - The GUI (Graphical User Interface) is very intuitive and user-friendly allowing to control individually or simultaneously the channel (power and On/off). XML files can be uploaded and different experimental parameter configuration can be saved. - Niji has available the drivers to operate with Micromanager, Micromanager 2 and now a fully compatible Metamorph driver. Download the white paper (WP) in the tap "Descargar documentación" for learning about the envaironmental and economical saving when you replace your Halogen and Metal halide arc lamps for light sources based on LED technology, like the BBO-Niji (Bluebox). The pco.edge 4.2 is is equipped with an innovative scientific CMOS sensor providing crisp images and precise measurements. It can be optionally upgraded with a water cooling system. The pco.edge 4.2 camera system is designed for users who require highest quantum efficiency , best 16 bit dynamic range , high frame rates , long exposure times and extremely low readout noise . Alluxa Fluorescence Filter Set: suitable for TexasRed. Get the steepest filtering with Series ULTRA. Alluxa Fluorescence Filter Set: suitable for Cy3. Get the steepest filtering with Series ULTRA. Alluxa Fluorescence Filter Set: suitable for AlexaFluor488. Get the steepest filtering with Series ULTRA. Alluxa Fluorescence Filter Set: suitable for AlexaFluor700. Alluxa Fluorescence Filter Set: suitable for Cy3.5. Alluxa Fluorescence Filter Set: suitable for CFP. Alluxa Fluorescence Filter Set: suitable for DAPI. Alluxa Fluorescence Filter Set: suitable for mCherry. Get the steepest filtering with Series ULTRA. Alluxa Fluorescence Filter Set: suitable for Cy5.5. Get the steepest filtering with Series ULTRA. Alluxa Fluorescence Filter Set: suitable for GFP. Get the steepest filtering with Series ULTRA. Alluxa Fluorescence Filter Set: suitable for APC. Get the steepest filtering with Series ULTRA. Alluxa Fluorescence Filter Set: suitable for TRITC. 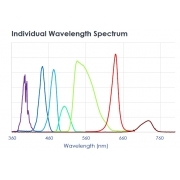 Alluxa Fluorescence Filter Set: suitable for RFP. Get the steepest filtering with Series ULTRA. Alluxa Fluorescence Filter Set: suitable for Cy7. Get the steepest filtering with Series ULTRA. Alluxa Fluorescence Filter Set: suitable for Cy5. Get the steepest filtering with Series ULTRA. Alluxa Fluorescence Filter Set: suitable for YFP. Get the steepest filtering with Series ULTRA. 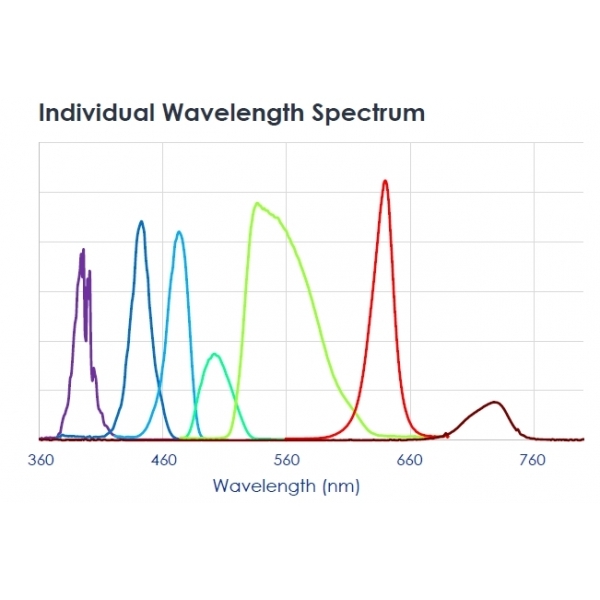 Alluxa Fluorescence Filter Set: suitable for FITC. Get the steepest filtering with Series ULTRA. The pco.panda 4.2 heralds the start of a new sCMOS camera generation . 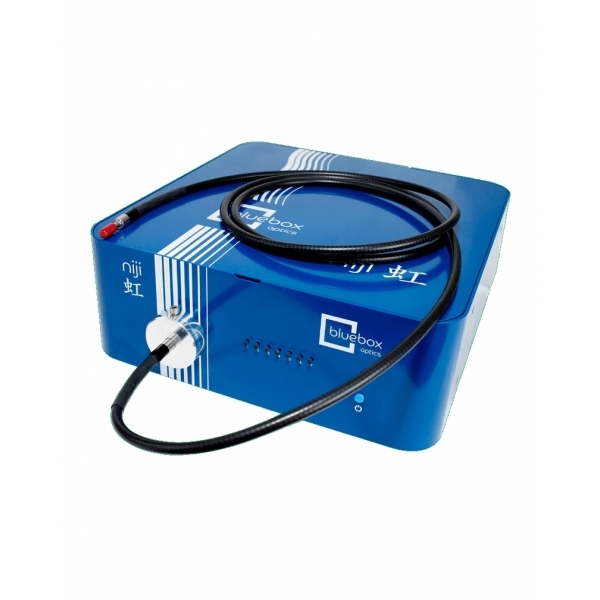 Power and fast data transfer occur via a single USB 3.1 cable. 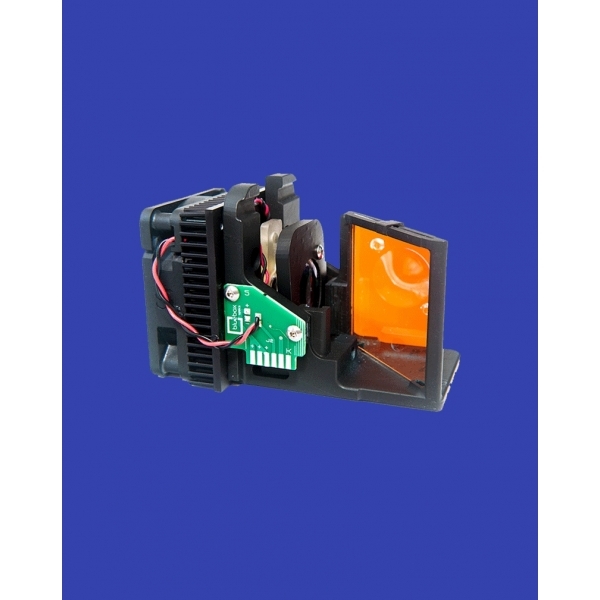 You benefit from excellent image quality provided by the 16-bit non-cooled sCMOS sensor with its high resolution and 6.5 x 6.5 μm² pixel size. High quantum efficiency (up to 80%) and low readout noise are guaranteed.